The Lost Coast is California's only coastal wilderness, where no development or major roads come near the ocean. This wild and spectacular scenic drive is the closest you can come to the Lost Coast without a backpack. 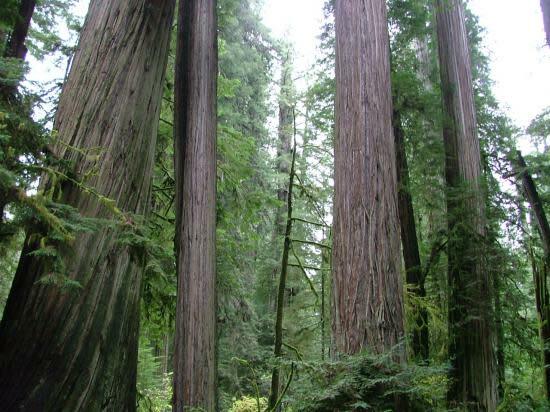 Drive from Victorian Ferndale, through high alpine forests, to the water's edge, along the northern edge of King Range and then to the redwoods of Humboldt Redwoods State park. Road can be narrow, windy and bumpy in places. 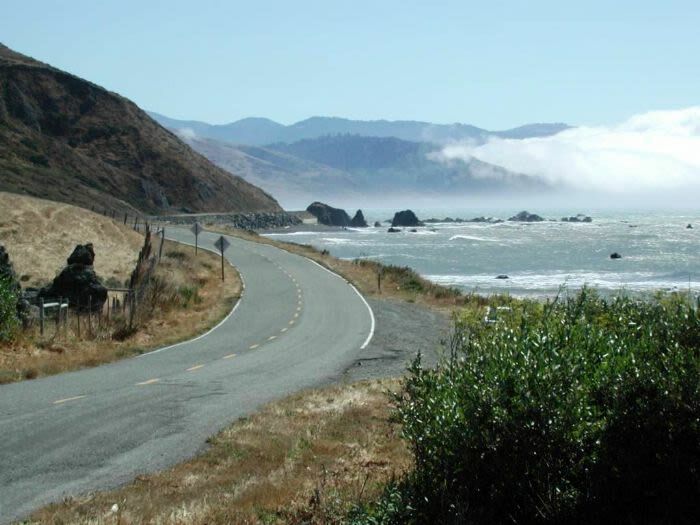 Route: From Ferndale, take the Mattole Road (the "Wildcat") south toward Petrolia. After rolling through a high alpine forest, you'll come to a former stagecoach stop called Capetown. From this point the road takes a steep drop to the sea and touches the ocean at Cape Mendocino, following the shore for six miles near Cape Mendocino, then turns inland along the Mattole River. 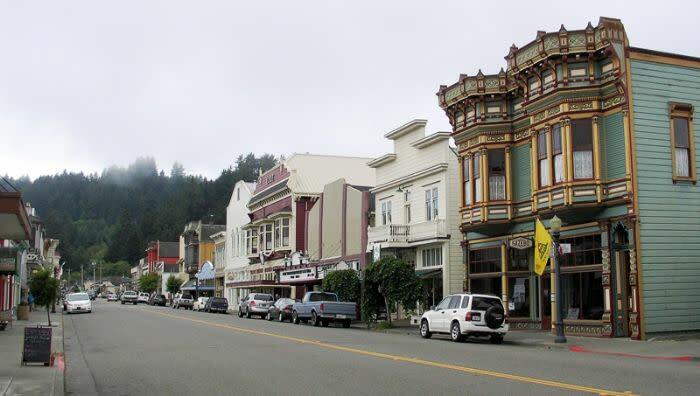 Continue on through Honeydew, out of the Mattole River Valley and into Humboldt Redwoods State park where you can return via 101, heading north. The Payoff: Incredible ocean vistas, sweeping grasslands, tiny rural towns and coastal forest in this extremely isolated section of California coastline. The Twist: You're driving through some of the most seismically active country in the state, and the site of the state's first oil wells (how Petrolia got its name). For those who like to leave the "beaten path," Instead of heading east when your reach Petrolia, go southwest towards the coast along Lighthouse Road 5 miles, park and hike another 3.5 to visit the Punta Gorda Lighthouse. 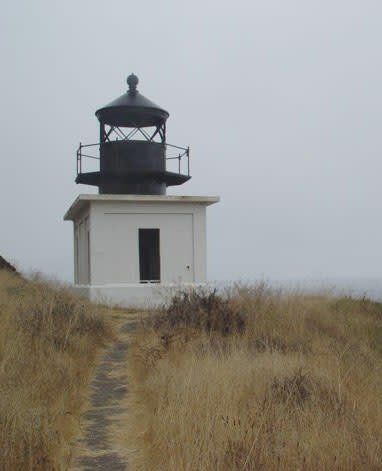 MAP to lighthouse. This side trip will add a couple of hours to your trip so prepare, bring water and snacks.